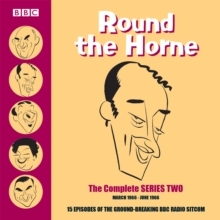 The Best of Round the Horne stars Kenneth Horne, `the uncrowned head of the show'; Kenneth Williams, who played Rambling Syd Rumpo, Gruntfuttock, Sandy and Dr. Chou en Ginsberg M.A. 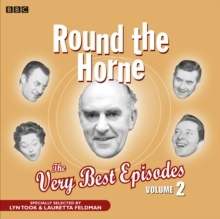 (Failed); Hugh Paddick (Charles, Brown-Horrocks, Julian and Lotus Blossom); Betty Marsden (Daphne Whitethigh and terribly, terribly affected Fiona); and Bill Pertwee (Jocelyn Pettibone and two thinly disguised `send-ups', Seamus Android and Rife Hobertson). 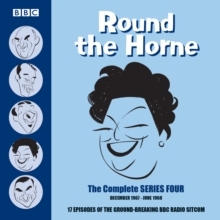 Vintage Beeb: classic albums first available as BBC LPs, now on CD for the first time ever. 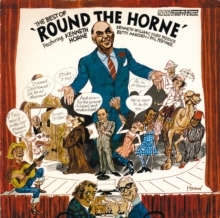 This recording was previously released on LP in 1975, and subsequently on the cassette Round the Horne Volume 1. 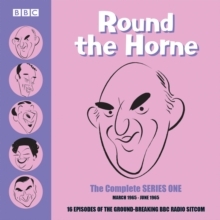 1 CD. 45 mins.